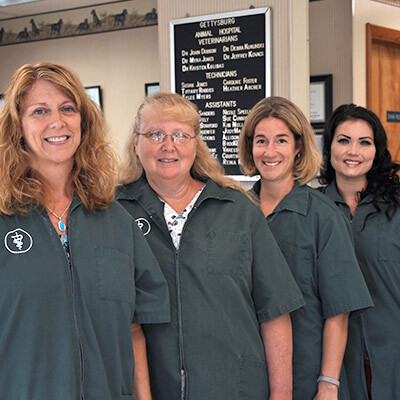 Sue Jones, Veterinary Technician. 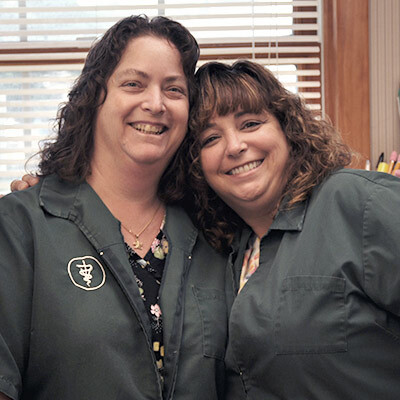 Sue has been with GAH for 23 years and formerly worked with Dr. Jackson (the previous owner) for 20 years. She was born and raised in Gettysburg. She graduated from GHS and is a Nittany Lion. Sue has 3 cats – Max, Rudy and Calvin. Caroline Foster, Veterinary Technician. 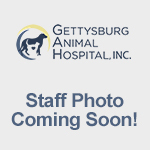 Caroline has worked at Gettysburg Animal Hospital since 1998. She has one daughter, one granddaughter, 7 dogs, 2 cats, 2 goats and 2 miniature horses and a duck. 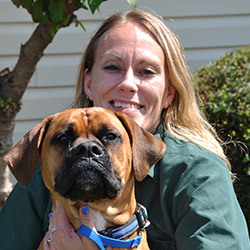 Pictured here with her boxer Brandi. Tiffany Rhodes, Veterinary Technician. 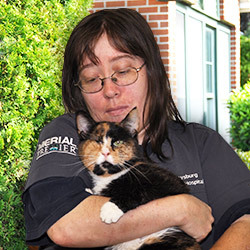 In November of 2015 Tiffany joined Gettysburg Animal Hospital after moving to the area from Florida. Tiffany resides in New Oxford with her 2 children. 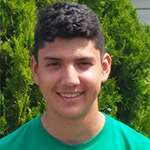 When she has time she enjoys hiking in the mountains with her kids, and visiting museums. Tiffany not only cares for the animals at GAH she also has her own mini zoo. Tiffany has 3 cats, 3 dogs, 1 rabbit, 1 bird, 1 happy hamster, 1 speedy turtle, and 1 fish. Heather Archer, Certified Veterinary Technician. 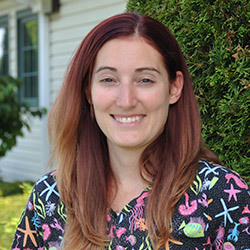 Heather graduated from Northampton Community College in 2005 with an Associates Degree in Veterinary Technology. She has a Great Dane named Sake, a Pug named Rocky and a cat named Mooshu. 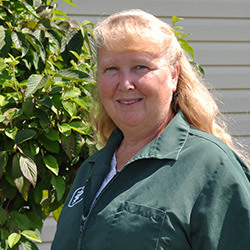 She has been working at Gettysburg Animal Hospital since 2005. 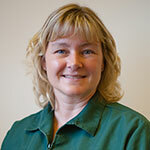 Susan Smarsh, Veterinary Assistant. 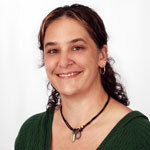 Susan has worked for GAH since 1988 taking a short sabbatical to raise her children, she returned in 2004. Susan has 2 children and 4 dogs, Bohdi, Rudy, Oakley, and Lizzy. She recently added a young German Shepherd to her family. 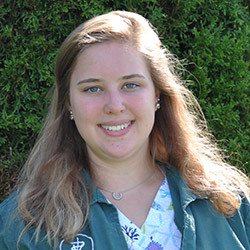 Nicole Speelman, Veterinary Assistant. 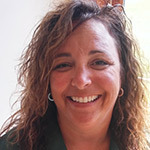 Nicole has been part of the GAH team since 1998. Along with her husband and two boys, Nicole also cares for 1 dog and 3 cats. Her love of animals extends beyond small animals, as Nicole and her family raise chickens, cows, pigs, and take care of 3 horses. 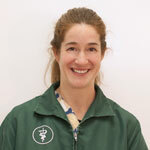 Carla Stely, Veterinary Assistant. Pictured with "Ellie Mae" - Carla has been working at GAH since May of 2005. She has 13 cats, 2 dogs, 2 Red-Footed Tortoises, 2 Chinchillas, and a pigeon. Sue Cunningham, Certified Veterinary Assistant. 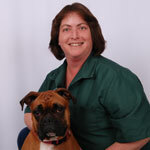 Sue graduated from Frostburg State University in 2001, with a degree in History/English, and Carroll Community College, Westminister, MD., Certified Veterinary Assistant. 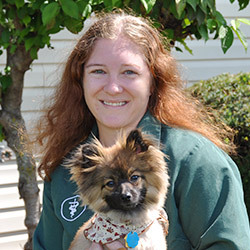 She has been a certified veterinary assistant since May, 2008. She is a former park ranger. JoAnna Stanford, Veterinary Assitant. Pictured with "Tom Servo" – JoAnna graduated from Mount St. Mary's College in 2001 with a BA in English. Lives in Gettysburg with 3 cats, Tom Servo, Caspian, and Mr. Humphrey Tiddleywinks McGee. She has been working at GAH since May 2010. 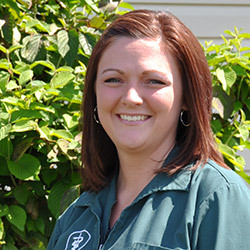 Kimmie Null, Veterinary Assistant. 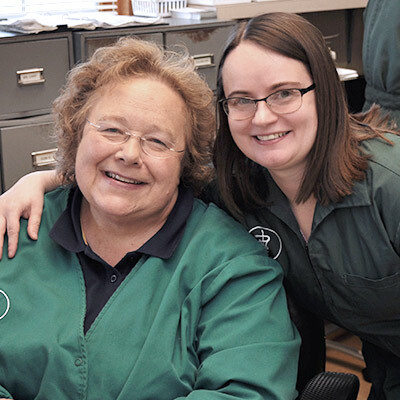 Kimmie has been working at GAH since 2008. 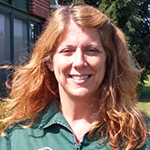 She earned her certification in Veterinary Assistance from Carroll County Community College. 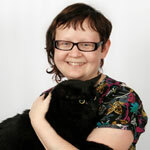 While working here she also has her own business as a personal pet sitter. Kim's love for animals is obvious as she is a retired dairy farmer and now has a farmette that she and her husband (Bill) run daily. Allison Wenk, Veterinary Assistant. 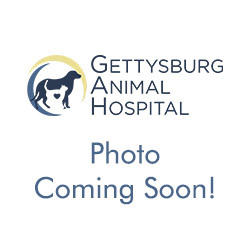 Allison first began working for Gettysburg Animal Hospital in 1995. In 2006 she left to pursue another career path but soon realized her true passion was working with the animals and staff at GAH. She is very happy to have returned in December of 2014. Allison has 3 children and several pets. 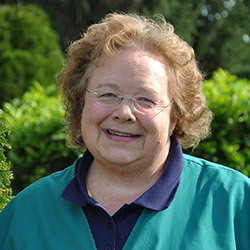 Pat Unger, Veterinary Assistant. Pat lives in Gettysburg with her dog Sadie. She has a son Eric, a daughter Madison and two grandchildren Jase and Coraline, who are the loves of her life! In her free time she helps her daughter groom animals and enjoys working with disobedient dogs to make them loving companions. 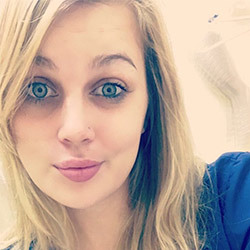 Brooke Pottorff, Veterinary Assistant. Brooke is a 2015 graduate of Biglerville High School and is currently attending Wilson College. 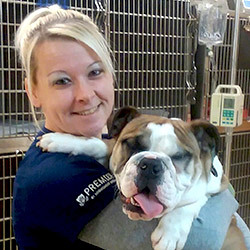 Brooke is working towards a degree in Veterinary Technology. Currently Brooke happily lives with 3 dogs, 2 rabbits, 1 cat, and 13 chickens. Brooke is engaged to be married in 2019. Courtney Frack, Veterinary Assistant. Courtney joined the GAH team in February of 2017. Along with caring for the animals, Courtney is also a part time cosmetologist. Courtney shares her home with her husband Brett, daughter Bristol, and lab mix Jasmine. Courtney's favorite part of working at GAH is interacting with the clients and the animals! 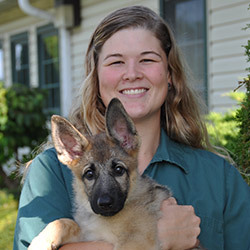 Kala Pogue, Veterinary Assistant. Kala started in at the animal hospital in October of 2017. This is the perfect occupation for Kala as her lover for animals is only second to her love of spending time with friends and family. Kala has 5 furry children, 2 German Shepherds; Rhea & Aurora; and 3 cats; Moo, Mia, and Mya. Kala also enjoys sleeping and cuddling with her animals while listening to music. 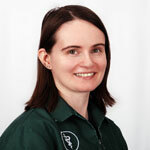 Rebekka Frank, Veterinary Assistant. Rebekka Frank first started working at GAH in November of 2015. She took a short sabbatical and returned in April of 2018. Along with her dog (lab/shep mix) Lucy, Rebekka also has a passion for writing and has published 2 books at this time. In her spare time Rebekka enjoys reading and horseback riding.